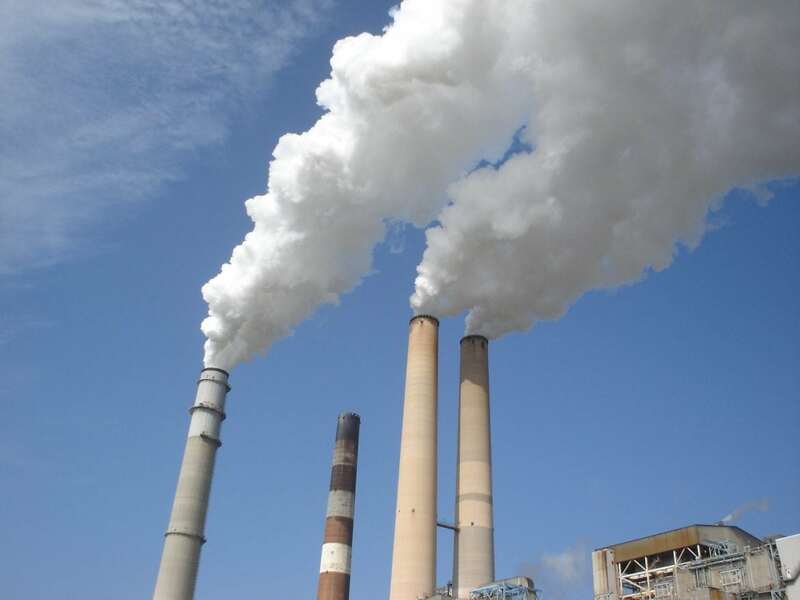 One of the key problems related to safety and human life is the emissions of hazardous substances into the atmosphere from point sources, which are caused mainly by deliberate or accidental atmospheric releases. In many cases, the releases are short (puff) and the concentrations are high, and there is a need to reliably predict dosage-based parameters which are related to risk assessment. Such dosage-based parameters can be the individual exposure/maximum dosages, the travel time of the pollutant from the source to the location of interest (sensor) and the duration of the puff at the sensor. Starting from the fact that puff dispersion variability is substantial, especially in complicated urban built-up areas, even for puffs released under similar meteorological conditions, the prediction of dosage-based parameters from puff dispersion is a very challenging task for a numerical model as the values are compared not only in space but also in time. A review of the available dispersion models based on the open literature indicated that the Computational Fluid Dynamics (CFD) and Reynolds Averaged Navier Stokes (RANS) models are ideal for this purpose, due to the reliable prediction of the wind flow and pollutant dispersion in complex configurations such as urban environments. The CFD-RANS methodology for puff dispersion was evaluated using two case studies (wind tunnel experimental datasets Michelstadt and CUTE). 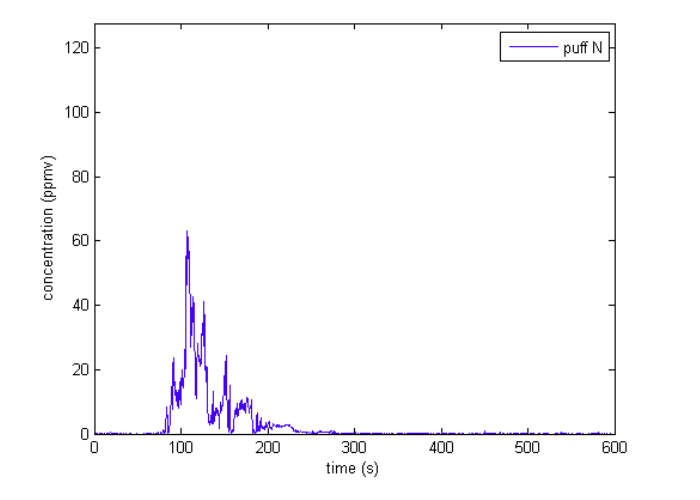 The model performance was evaluated by comparing calculated and measured ensemble average values of the following puff-related quantities at specific sensor locations inside the urban built-up environment: dosage, peak concentration, puff arrival time, ascent time, peak time, decent time, leaving time and duration. The results were encouraging since the CFD-RANS model presented a better performance for the prediction of temporal parameters (i.e., puff arrival time, peak time, leaving time, puff duration, etc.) than for the dosage and the peak concentration. The evaluated performance of the model depends on the position of the sensors in relation to the source location. At sensors located downwind of the source near the average puff pathway, the agreement of model results with experimental data is better than those at sensors located farther from the average pathway. Also, it should be noted that the measurement results showed a high variability. An example is presented in Fig. 2 where the model-calculated dosage for a sensor is overlaid on the distribution of the measured dosages for all the puffs released in this case. 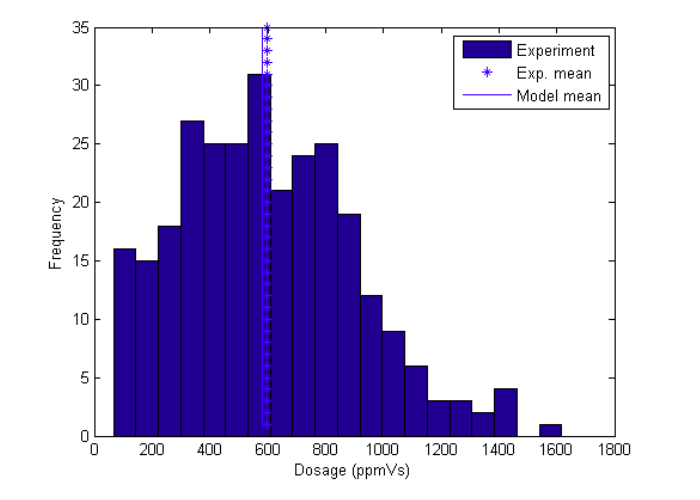 It is seen that in this case the model successfully calculated the average dosage (which here is close to the most probable value). These findings are described in the article entitled Prediction of dosage-based parameters from the puff dispersion of airborne materials in urban environments using the CFD-RANS methodology, recently published in the journal Meteorology and Atmospheric Physics. This work was conducted by G. C. Efthimiou and S. Andronopoulos from NCSR Demokritos and J. G. Bartzis from the University of Western Macedonia. G. C. Efthimiou, S. Andronopoulos, J. G. Bartzis, 2017. Prediction of dosage-based parameters from the short-duration release of airborne materials in urban environments, Meteorology and Atmospheric Physics, 130(1), 107-124. 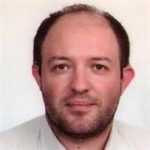 George Efthimiou is currently a Postdoc researcher at the Department of Mechanical Engineering, UOWM, Greece. He obtained his PhD in Mechanical Engineering from the University of Western Macedonia, Greece (2013). His research interests include the microscale modelling of environmental flows and pollutant dispersion with special emphasis on individual exposure in short-term release episodes. He has published research papers in peer-reviewed journals as well as in conference proceedings. He currently participates in the Working Committee of COST Action ES1006. In the past he has participated in the Working Committee of COST Action 732.